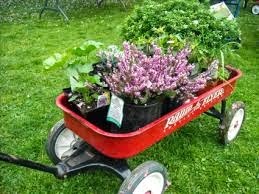 The Bridgewater Garden Club will hold their annual spring plant sale on Sat. May 10, 2014 from 9AM to Noon at the Bridgewater Cole-Yeaton Senior Center, 10 Walley Krueger Way, Bridgewater off Route 18/28. Rain or shine. This is held indoors. Perennial plants are from members gardens and we also offer hangers and annuals.